Crochet cotton soft baby boy doll rattle. 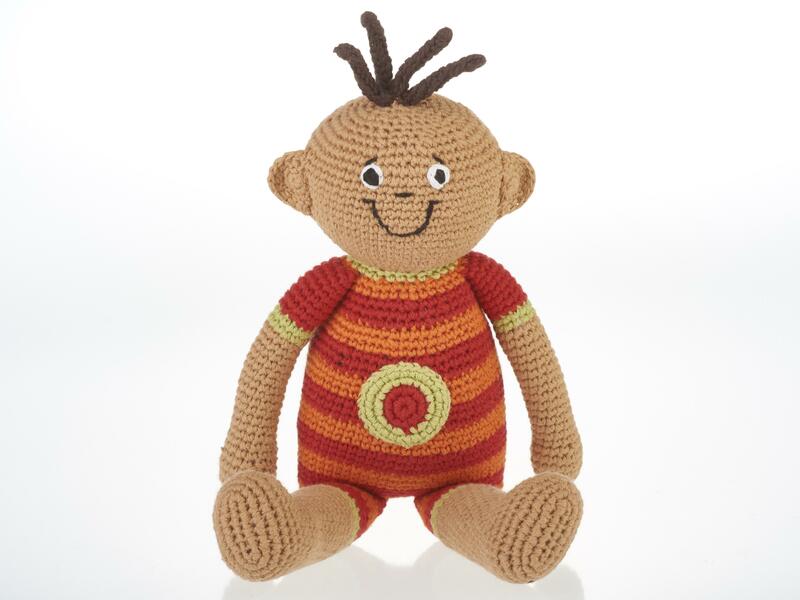 This handmade baby boy soft toy has a red and orange stripe baby body with a circle emblem and a sweet smile. Ideal first soft doll rattle for a baby. Fair trade and crochet from soft cotton yarn. Best Years are a soft toy manufacturer based in the UK. All of our crochet fair trade baby toys are available to wholesale, retailers and museum customers. Who made my baby doll toy? Our cotton soft baby dolls are made by our fair trade partner Pebble.